There are many questions about the different treated wood products in our market today. Although there may appear to be many differences in what options to use for your next project, there may be more similarities than you know. Treated wood products must meet very specific quality requirements to meet the building code. 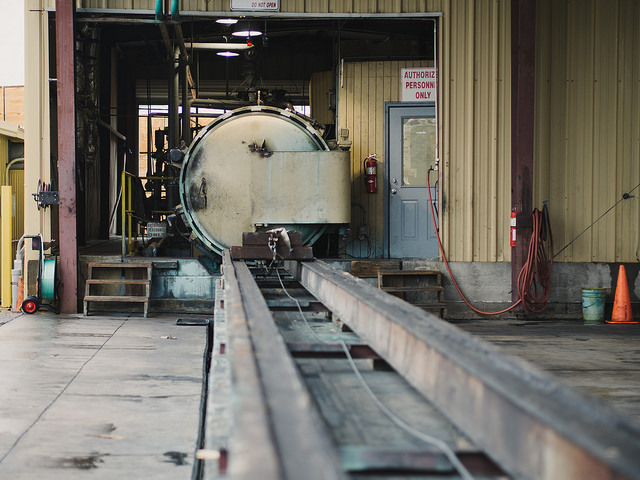 These requirements are initially checked by the producing treating plant, but are ultimately verified by independent, third-party agencies that ensure plants produce treated wood products in accordance with industry standards. 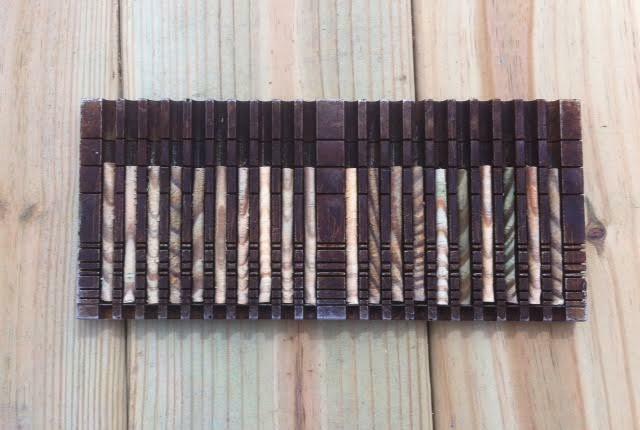 SPIB is a not-for-profit company that serves as the rules-writing agency for the Standard Grade Rules in Southern pine lumber. 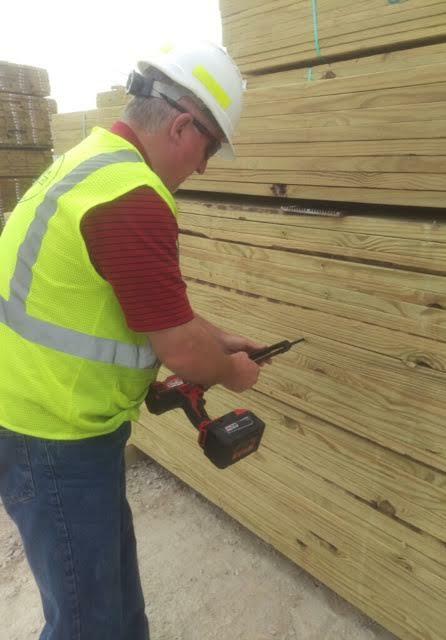 SPIB also inspects mills that manufacture and label various lumber products under these rules. SPIB performs these functions through the accreditation of the American Lumber Standard Committee (ALSC) as appointed by the Department of Commerce. The ALSC also accredits third-party agencies, like SPIB, to inspect treating plants that produce treated lumber products with preservative systems listed in the American Wood Protection Association (AWPA) Book of Standards (BOS). SPIB is subject to continual review by ALSC to ensure that the laboratory and agency records remain in compliance. The scope of the ALSC review may also include physical inspection of treated wood products at the plant location to verify penetration and retention as a means of comparing against previous findings by the agency. Where applicable, the International Building Code requires that all treated wood products be treated and labeled as meeting specific AWPA Standards and bear the mark of an ALSC-accredited agency OR “equivalent”. The International Code Council Evaluation Service (ICC-ES) similarly approves preservative systems through its Evaluation Service Reports (ESR’s). Treating plants that produce material under a given ESR are required to be monitored by third-party agencies approved by the International Accreditation Service (IAS). SPIB is accredited through IAS and maintains ISO certification as both an inspection agency (ISO 17020) and a Laboratory (ISO 17025). SPIB is subject to continual review by IAS to ensure that the laboratory and agency records remain in compliance. Treating systems treated under an approved ICC-ES ESR allow code officials the option to accept these products as “equivalent” for meeting code, as referenced above. Regardless of whether the preservative system is approved through the AWPA or ICC-ES process, the inspection and analytical standards used to monitor the respective quality attributes are delineated in the AWPA Book of Standards. These Standards are very prescriptive in the requirements for Quality Control procedures, preservative penetration, analysis methods for retention, in-plant equipment, records and third-party agency responsibilities and requirements. Minimum retention values are specified in the AWPA BOS for those preservative systems listed under AWPA and in the various Quality Manuals for those systems specified by a given ESR. Ok, now that we’ve got that covered, let’s go to the treating plant! Got your hard hat and high-vis vest? The very basic quality control attributes to evaluate the level of treatment in lumber products is the determination of the depth of preservative penetration and the analysis of preservative retention in a specified, outer assay zone. This process is required through the plant’s Internal Quality Control (IQC) for all treated lumber products to be represented as meeting an applicable standard. Records, trained personnel and an approved, properly equipped laboratory (either in-house or an approved external lab) are also required to complement the penetration and retention sampling requirements. In preparation for treatment, like lumber products are grouped together onto moving trams and placed into a large cylinder for treatment of the “charge”. Treating cylinders vary in size and length and a single charge of lumber can contain anywhere from 8,000 to 25,000 board feet of lumber. The treating process includes an initial vacuum to remove the excess moisture and air to aid in the absorption process. A high-pressure period is then undergone to push the preservative deep into the wood. A final vacuum removes the excess preservative from the wood’s surface before the charge is removed from the cylinder and placed on the drip pad. Once on the drip pad, the material will stay until it is dry enough to be moved into the plant’s treated inventory. Before a given charge can actually go into the plant’s treated inventory to be ready for shipment, it must first be evaluated for penetration. 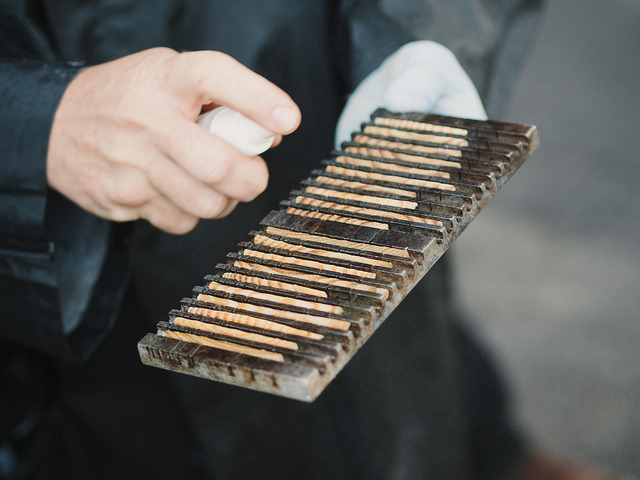 Twenty cores are taken randomly throughout the charge to measure the depth of preservative penetration in each core. The cores are removed by a specialized boring bit on the edge of the lumber, near the mid-length of the piece. The resulting hole will be filled with a treated wood plug to prevent easy access by insects or decay fungi. In most cases, the required depth of penetration is 2.5” or 85% of the available sapwood. An indicator is used to identify the untreatable, heartwood sections of the 20-core sample (Sapwood is the outer portion of the log; heartwood is the innermost portion of the log and is rarely capable of accepting preservative). A specific indicator or a specific method is then used to reveal the depth and consistency of preservative penetration. Generally, the charge is accepted if at least 80% of the cores (16 of 20) meet the minimum depth of penetration. Once penetration is verified, the outer section of the cores is removed to measure the amount of preservative retained. Lumber that is 2” or less in thickness (2×4, 2×6, 5/4 decking, etc.) has the outer 0-0.6” removed while lumber thicker than 2” (4×4, 4×6, 6×6) has the outer 0-1.0” removed for assay. The cores are then dried and ground for the purpose of analyzing the dust by x-ray, titration or gas chromatography methods. The charge is considered conforming if each component meets the minimum required retention AND the total, combined minimum retention is met. The plant is required to keep very specific information for each charge treated in its records system. This information must include the charge number, treatment date, products treated, tally, cycle parameters and preservative solution strength for each charge. This specific set of data for each charge is called a “charge report”. IQC results of treatment for each charge are required to be documented in the plant records to correspond to the individual charge reports. Typically, the first step of a third-party agency audit involves a review of the plant’s records. Each charge sheet is reviewed to verify that all IQC requirements have been met and properly documented. Each charge is tallied as to the specific “Production Category” that will be used to determine the level of sampling to be performed in the plant’s treated wood inventory. A Production Category is defined as a given preservative, specie and retention combination. Overall plant evaluation is done by means of separating and inspecting all of the different Production Categories to help identify very specific areas of concern, if any exist. Charges that are documented as conforming for penetration and retention by IQC results are subject to “re-inspection” by the agency to verify penetration and retention. Re-inspection of plant production is performed on a routine frequency by the agency. Plant inspections are required to be performed at least once per month, but may be increased due to production and/or performance. The sampling procedures are the same as required by IQC, but re-inspection of a given charge will likely involve only a portion of the total charge. Penetration is verified on-site by the third-party inspector before sending the assay zones to the agency laboratory for retention analysis. Charges found non-conforming, either through plant IQC or third-party, are isolated for correction and the corrective actions are to be documented accordingly. While each charge is evaluated on its own merit, it is important to note that overall evaluation of plant performance is done over the most recent 20 samples. This approach is intended to consider the “big picture” trends as opposed to allowing otherwise isolated issues to severely affect plant performance “status”. So, we’ve covered a lot of ground, but this is not the end, not by a long shot! Our next Blog will take the samples to the SPIB laboratory for analysis to determine if retention values are conforming. This information will then be combined with previous plant data to determine the plant performance status, as mentioned above. Exciting stuff…you won’t want to miss that!